Met her on my walk. How I wish she could talk. Imagine the stories she'd tell. 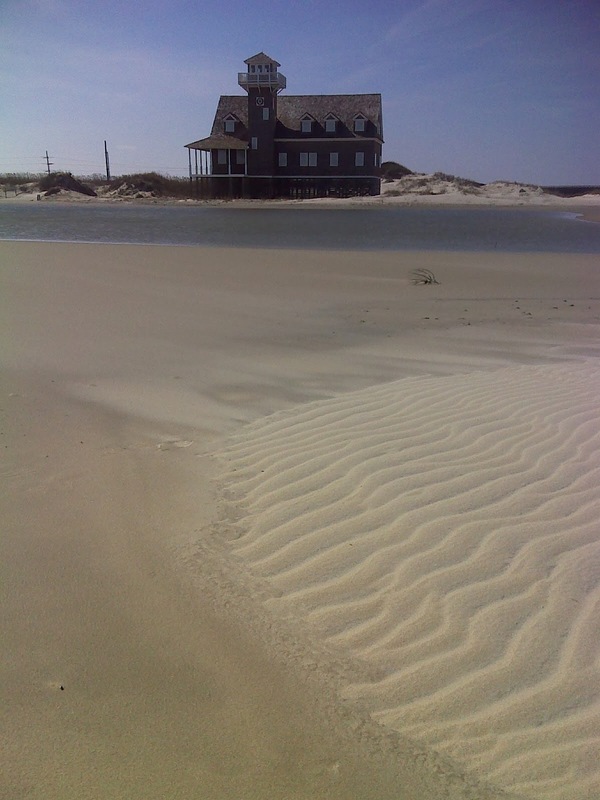 and a couple miles south of the old Coast Guard station house at Oregon Inlet. I only hiked a bit over seven miles today, all on the beach. Logistics, in the form of available access points, demanded that I either do a very long day or this short one. 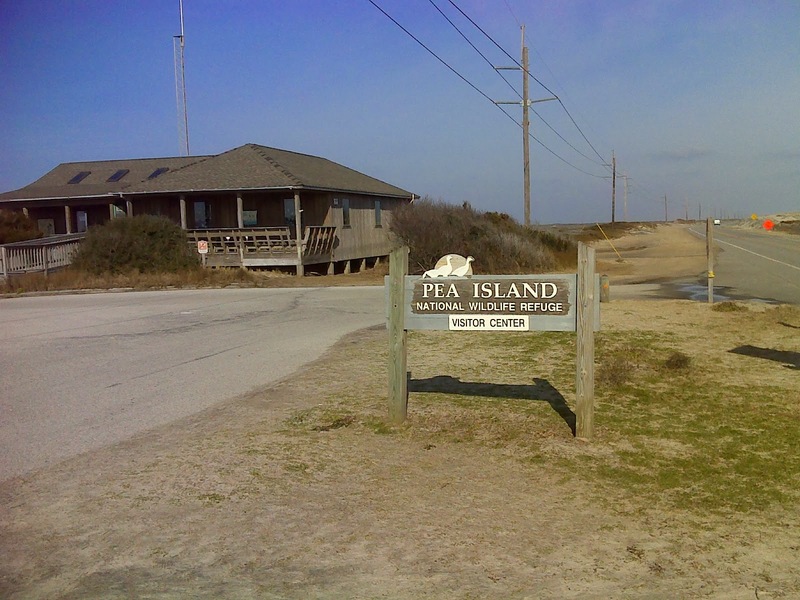 It seems the triple towns of Rodanthe, Waves and Salvo provide no public beach access with available parking. I opted for the shorter day because although the weather looks delightful in the photos it was biting cold walking the beach--temperature in the 30's with a north wind of 20 to 25 miles per hour. I found I needed to use my mountaineering winter down parka and I even donned my ski goggles to keep sand, sea spray and biting dry air from wreaking havoc on my eyes as I slogged into that headwind. Seven miles of that was enough. This section of highway has been problematic for years. 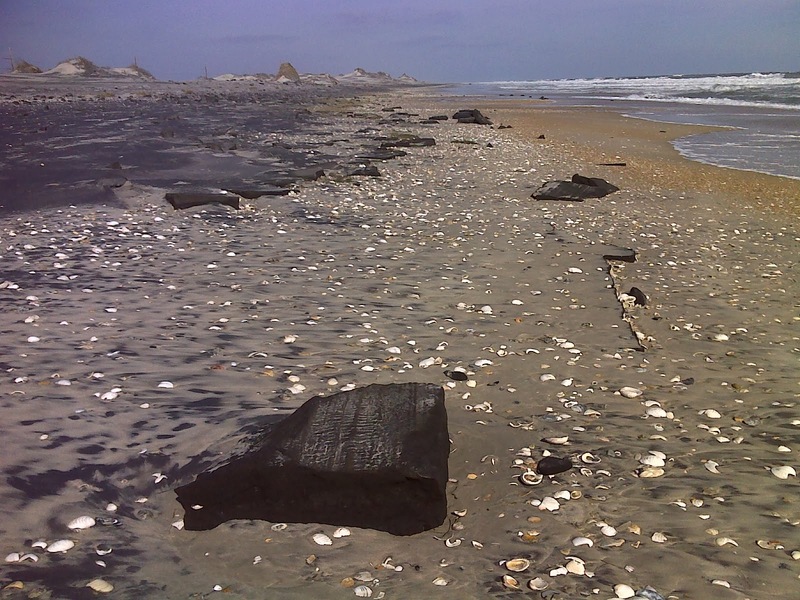 Further north I ran into a section of former highway that was now breaking up and littering the beach. 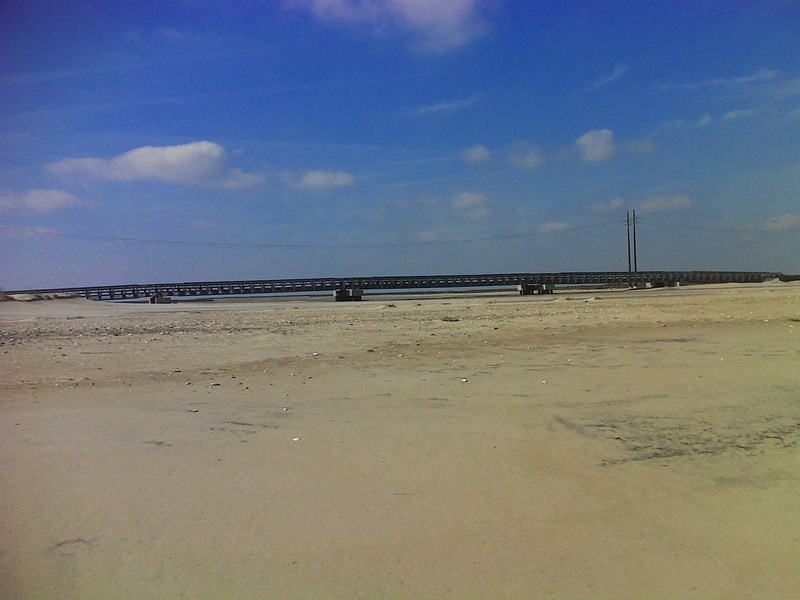 Very likely I drove that version of NC 12 back in the '70's when I first visited this area. 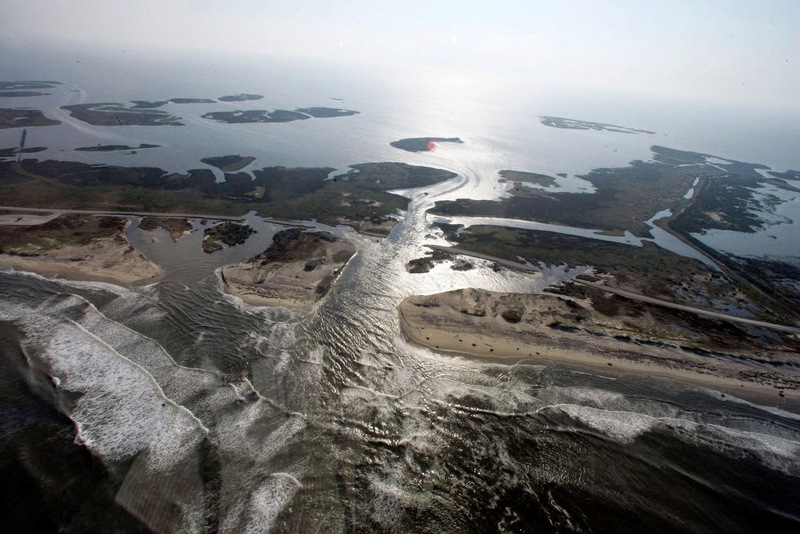 Yet another storm recently breached the North Pond dike at Pea Island National Wildlife Refuge. I mention this because, subject to confirmation from the Mountains-to-Sea Trail people, the four mile loop walk around the North Pond, starting at the visitor center shown in the photo above and ending at a kiosk 1.65 miles further north, may (when it is open again) be the official MST route. Since that loop is closed while they make repairs, I didn't need confirmation of the correct route to take. The beach was my only option today. So at the end of seven miles of hiking this stormy coast I had had enough. The plus side of the strong wind was the bicycle rides I had to make. I did all my walking into the wind and then made the return trips downwind. It was almost like sailing. 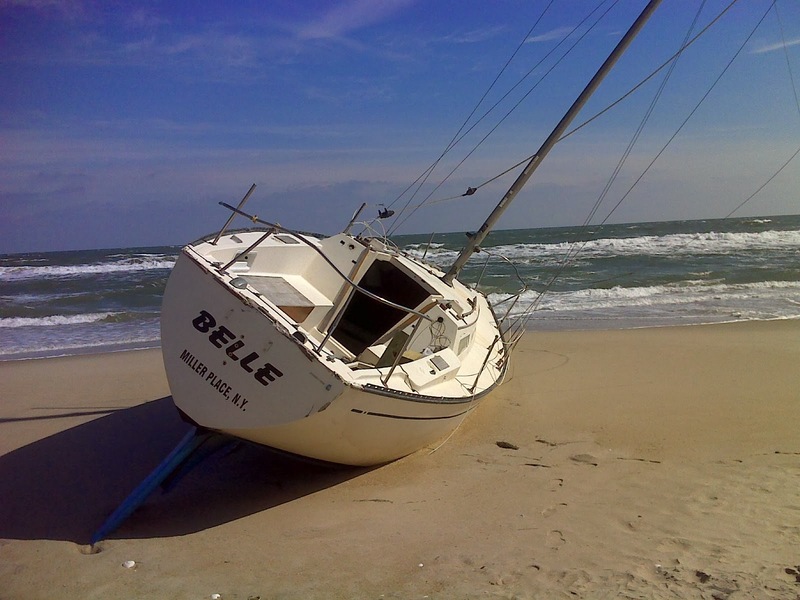 And fortunately my voyage had a little better ending than poor Belle's.